This edition is helpful for couples with lower levels of reading, education and experience with inventories. FOCCUS Facilitator Certification and online registration are required for purchase of the FOCCUS Facilitator Manual. A FOCCUS Fourth Edition Facilitator Manual is required for each Facilitator or Facilitating Couple and detailed use of the manual and preparation to facilitate FOCCUS is provided through online or face-to-face training. 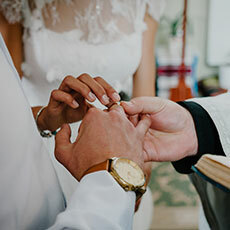 The Manual provides step-by-step instructions for FOCCUS Facilitators; patterns for couple study, facilitator aids for all FOCCUS Pre-Marriage Inventory Statements and information on related resources. Written at a third grade reading level, this edition, is most often selected for individuals with developmental disabilities or for whom English is a second language.